It didn’t start out to become a legend. Built on the state line, Mondak, the legendary wild town of 100 years ago served alcohol on the Montana side of town. The North Dakota side was dry. The town was an important trade center and housed hundreds of men working on the Great Northern Railroad and the Montana Eastern Railway and its bridge to the south. The bridge was named for the towns nearby — on one end, it was the Snowden Bridge, on the other end it was called the Nohly Bridge. Both Snowden and Nohly are gone. But unlike Mondak, the two towns have not even foundations to show for where they once stood. We’re working on a story for the end of the month about a gruesome Friday night in April 1913. You’ll see why these remaining buildings and the bridge in the distance are significant. Quiet but historic. The Mondak Jail was the scene of a rowdy night 100 years ago. I believe both Snowden and Fairview lift bridges were built by Great Northern as part of their efforts to build a shorter, faster route from Chicago to Seattle and beat their main competitor, the Northern Pacific and Milwaukee Road railroads. The plan was to bypass Grand Forks, Minot and Williston. Instead go NW from Fargo to New Rockford area, then west to along the north bank of the Missouri River in the now flooded Elbowwoods area. Bridge across the Missouri west of Elbowwoods and follow the Little Missouri and a creek bed up to Watford City. Then west through Alexander and Cartwright to Fairview. Then north through the Snowden bridge to rejoin the existing main line at Snowden siding west of MonDak. This plan was started and the line built from Snowden to Watford City. However, World War I happened and there was a large steel shortage in the US, and it was never finished. 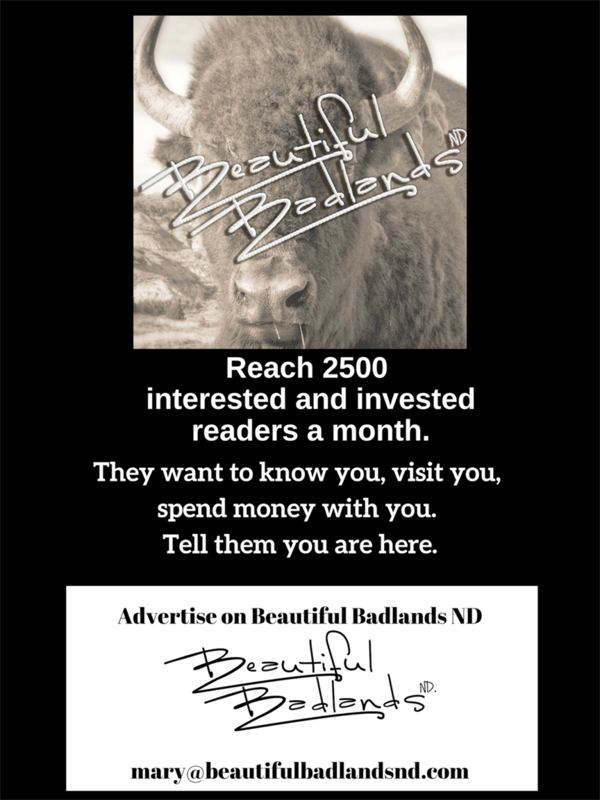 Sunday Snapshot (and also Saturday Snapshot) are quick weekend posts to help you stay in touch with what’s happening in the Beautiful Badlands of North Dakota. Subscribe to get a note in your inbox when the story is posted. Here’s more from our research and explorations of the Snowden Bridge. We can tell your group the entire grizzly history. Just invite us to speak to your group. We’ll bring the stories and the photos. They will be amazed at the speakers you lined up! We love to share insight and ideas for exploring the Beautiful Badlands. We’ll speak to your group. Just ask!